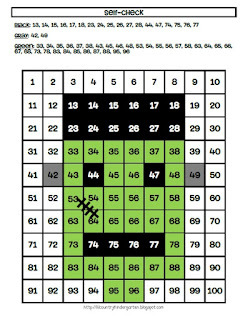 I had a request for a Frankenstein Hundreds Chart, so here you go! Just click on the picture below to purchase this chart in my TpT store for only $1. 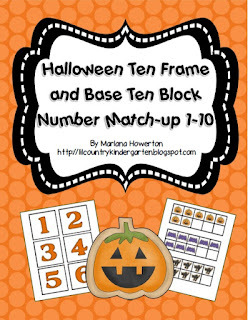 I also added a Halloween Base Ten and Ten Frame Number Match up for numbers 1-10. You can get it through my TpT store for only $1! Just click on the picture below. Thanks for the freebie and I have put the Halloween ten frames in my cart on TpT. I love them. Now I just have to find a few more things to buy...which won't be a problem. Thanks for the cute stuff. I love your hundreds charts pictures (and so do my 2nd graders)! Thank you very much! Thank you! I'm so glad you and your students like them! thank you for more 100s charts. my boys love them. we are about to take a trip and these will be great for them to read and color along the way. You're welcome! Thank you for sharing that your boys love them. I hope they've enjoyed them on your trip!